Falling for Annie came together over music, love, friendship, and food. A serendipitous encounter with a sailor, and his boat named Annie, inspired the trio to share their music with others. Falling for Annie is about falling for inspiration, passion, empowerment, and love… simply because it is why we are here. Falling for Annie’s contemporary folk style consists of vibrant vocal harmonies. While many songs are a cappella, the trio also includes multiple instruments in their arrangements. Falling for Annie includes three music teachers: Katy Lushman (soprano, uke, piano), Ally Olson (alto, guitar, uke, piano), and Karissa Swanson (alto, cello, banjo, piano, uke). Ally’s musical interests began at the age of three years old, when she was singing and dancing with Sunshine Generation and later the Colorado Children’s Chorale. At the age of five, she sat down at the piano for the first time, changing the course of her life forever. She continued studying classical and jazz piano throughout her childhood and into her college years. Ally was fortunate enough to learn about Music Therapy in high school which lead her to pursue a Bachelor of Music Education-Music Therapy from the University of Kansas. 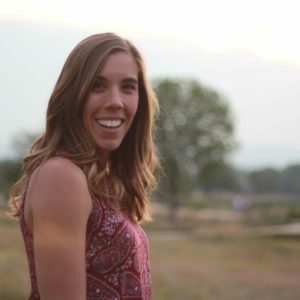 After practicing Music Therapy in the Denver Metro area for a couple of years as a Board-Certified Music Therapist, Ally realized that her true joy of music was in teaching. This led her to complete a Masters Degree from the University of Denver which allowed her to pursue her passion and career in music education. In addition to being a founding member of Falling for Annie, Ally is currently serving her fourth year as Vocal Music Director at Noel Community Arts High School (NCAHS) in Denver Public Schools. Ally lives near Denver, CO, with her husband, Lucus, and their two dogs, Toby and Lola. Outside of music, Ally enjoys mountain biking, baking, spending time with family, and working on endless house projects and improvements. Karissa Swanson’s childhood involved long road trips throughout the Midwest singing for hours in four-part harmony with her family. She studied classical piano and cello throughout her youth and has fond memories of performing with her high school Show Choir. Karissa pursued a Bachelor's Degree in Vocal Music Education (with a lot of piano studies) at St. Olaf College. While studying there, she toured with the St. Olaf Choir and won a competition to play Ravel's Piano Concerto in G with the St. Olaf Orchestra. Karissa is a founding member of Falling for Annie. She also performs with St. Martin’s Chamber Choir and sings with Denver Choir League as a section leader. 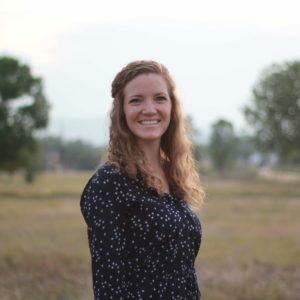 Karissa has been teaching elementary music for 14 years and is proud to teach in Denver Public Schools, where she serves 400 students in grades K-5. Karissa lives in Lakewood, CO with her soulmate, Nathan. They love to go on adventures in their VW campervan or on their liveaboard sailboat, the Western Star. Karissa enjoys nature, reading, photography, creating beautiful things, learning, time with loved ones, and household projects with Nathan. Katy has been a musician for as long as she can remember and it seems she’s always had a tune in her head and a song on her lips. Her parents are to thank for encouraging her take piano lessons starting at the age of five. Trained as a singer, educator, and conductor first at the University of Cincinnati College-Conservatory of Music, Katy moved to Denver in 2013 after completing a master’s degree at Westminster Choir College. Since then, she has sung with several professional choirs in town. Being a founding member of Falling for Annie ensures that Katy gets to regularly laugh, eat, and sing with her dear friends Karissa and Ally. In 2018, Katy founded Denver Choir League, a happy hour choir for young professionals that rehearses and performs in local bars and restaurants. 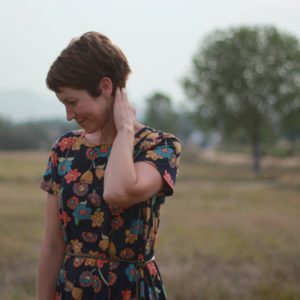 She has proudly taught at Denver North High School in Denver Public Schools since 2013 and enjoys daily serving her students through both music and herbal tea. When she's not singing, Katy practices yoga and rides mountain bikes under the big skies of Colorado with her husband, Andy, and their pup, Sky. She agrees with Mary Oliver: "Of all the sights she loves in this world — and there are plenty — very near the top of the list is this one: dogs without leashes." We’re going to FB Live the show tonight! 7:00 at at Denver Choir League page at 8:00 here for Falling for Annie. Falling for Annie will sing at DCL's Preview: Turn of the Century on Wednesday, March 6 at 7:00 inside Union Station. Get a sneak peek of one of our *new* tunes that we'll be singing at our upcoming concert at Ophelia's on Sunday, March 10. Reserved tickets for our show are almost SOLD OUT! GA tix still available. Don't miss out - get your tickets today! Tickets are now on sale for our upcoming gig! We join Denver Choir League at Ophelia's Electric Soapbox on Sunday, March 10. These tickets may sell out...get yours soon! We just wrapped up our annual mountain retreat and are excited to have added 5 new songs to our set! Ready for next week’s house concert! Thanks to the advice of Trenor Oliver, we have our own sound equipment for big spaces!